If you’re facing divorce, you may feel confused, defeated and overwhelmed. It may seem like you’re wading into an emotional and financial minefield. Maybe you feel like you can’t handle everything that’s coming your way – or you don’t know how to. You might feel like you’ve lost the clarity and perspective that you usually have, just when you need it the most. Your divorce isn’t like any other. Every divorce situation is different – but some basic guidelines can help you to get past some of the roadblocks you find along the way. Although your divorce is unique, many others have been on this path before you – with many of the same feelings, and a whole lot of the same challenges. By knowing more about what’s common in a divorce, you can learn to better equip yourself to get through it. Learn about some of the usual problems that come up, and you’ll be more ready for them when they happen. Know how to avoid some of the biggest mistakes, and you’ll be better protected as you soldier on through this difficult time. 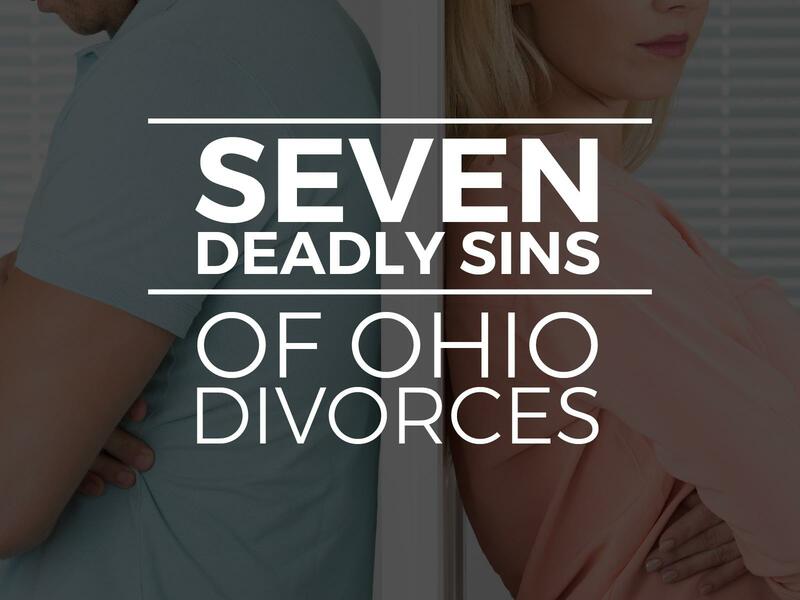 Here are the “seven deadly sins” of divorce that you should avoid. First off, when it comes to making your way through a divorce proceeding, it's really, really important to play it close to the vest, and zip your lip when it really counts. It's hard, right? It's natural for you or me to want to talk through issues. You might have a lot of anger and need to unload or vent frequently. But how you do this matters. Like it or not, we're in a digital age where too much of our communications get recorded, and that's where sounding off can be a big problem. First, let's take social media. You spend a significant amount of time on your smartphone? Sure -- you know I do. And I use Facebook a lot, and I'm sure you do, too. I'm not that worried about Facebook seeing pictures of my kids, or doing some political rants once in awhile -- but going through a divorce, you want to make sure you're not putting your feelings on Facebook or Twitter. One reason is that your words can be used against you -- these posts and tweets are public, and they can be captured and used in a court of law. Also, in general, this kind of venting just doesn't make people feel good. It might seem great in the moment, but then that intense emotional post is out there for everyone to see. You might get bad responses from some of your Facebook friends, or other people who click into the thread. It just makes you overexposed, and that can lead to really scary situations. However, over-sharing isn't limited to public venues like social media platforms. It's also important watch your emails. However, the reality is that anybody can print out an email and show it to a lawyer or anybody else. So your email is potentially public, and you should treat it that way. Anything that you put in there, from emotional tirades to factual information about your finances, can go into your divorce case eventually. Talking is usually fine -- although you want to think carefully about who you talk to. Counseling or therapy can help -- or you may have a close friend who's willing to listen to you talk about your problems. Just try to keep a lot of it out of the record, and that means avoiding posting, texting or holding forth on any format that can be easily recorded. Here's another type of activity that can really mess up your divorce case. Again, when you're in the thick of things, it's natural to want to know what the other party is doing. In a lot of cases, you just don’t trust your spouse, and you want to have all of the information that you can. Again, it's how you go about the process that’s important. Many people legally hire private investigators to track their spouses. But there are some red lines and boundaries that you just don't want to cross. One of them is installing key loggers on a spouse’s computer. This can be illegal and end up causing roadblocks for your divorce case. There are also certain kinds of telephone recording that are not in line with state law in some places around the country. 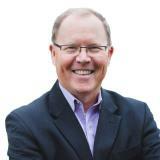 So you need to know about these critical boundaries when it comes to legal discovery. In addition, stalking an ex can have a bad effect on your own sense of closure. "When a marriage is over, a space opens up in your life that eventually must be filled with other things," says Joseph Cilona, PsyD, a licensed clinical psychologist in Manhattan, as quoted by a helpful cautionary piece in Prevention that covers spying, over-sharing and other no-nos. "Spending time focused on your ex can dramatically slow down or stifle this process, keeping you stuck in the past and creating serious obstacles to a satisfying new future." In a divorce proceeding, as I mentioned before, emotions run high. That's natural. What you want to do is prevent all of this emerging emotion from having a negative impact on the kids. Most parents don't want their kids to be hurt by a divorce -- but sometimes they can't help themselves from using the children as pawns. They may or may not understand that this kind of activity hurts everybody -- in some cases, it's a situation where someone's just not socially aware enough to avoid throwing the kids in the middle of this steaming cauldron. In other cases, the anger and resentment is just too much. A messy divorce can harm families in many ways – one of them is estrangement. Testimonies like these on Wevorce, a forum site, show the first-hand results of divorces where kids get so involved on one side or another than they will not even speak to one parent or another. These are the kinds of scenarios that families often try their hardest to avoid. “It is your job to protect your child from ‘taking sides’ or acting in a manner that precludes an ongoing relationship with your ex-spouse,” writes Dr. Gayle Peterson, MSSW, LCSW, PhD, in a post advising a father whose wife wants a divorce. Peterson’s detailed explanation of the context of a family’s coping with divorce is just one example of this critical advice for those trying to complete a divorce in the least harmful way possible. It's normal to want to create a legal resolution in a divorce that's fair and equitable. What starts hurting a case, potentially from both sides, is when either party takes this kind of penny-pinching to the extreme. If this was a classical ‘deadly sin,’ it would be the deadly sin of greed. Here are some of the situations that happen when you get greedy -- you and your spouse end up fighting over a television, or a vehicle, or a favorite antique piece of furniture, and you rack up tons of lawyers’ fees trying to nail down the small details. Maybe one of you starts making unrealistic demands, and you get mired in the financial details. Maybe both of you are stubborn, and neither one of you wants to give up. Some professional lawyers call this ‘spending a dollar to get a penny.’ It's the idea that excessive greed can actually ruin your finances in the long run. It’s like that old story of the monkey who gets his hand caught in the pickle jar, because he keeps grabbing too many pickles to fit through the top of the jar. To put it another way, even though you want the best deal possible, you can't shoot for an unrealistic resolution, because it will never get done. So there is some amount of financial give-and-take that has to go into the process to make it accessible. Ah yes, the old classic sin of “wrath. In a divorce, there’s often a lot of anger involved. But you don't want to go off half-cocked and do something that you’ll regret later. Excessive wrath can come in many forms. With men, it’s often a case of overtly threatening or aggressive behavior. But physical violence or aggression isn't the only way that wrath can take over and set your divorce proceedings on a collision course. One spouse or the other might become extremely passive-aggressive and put up lots of roadblocks to a simple and straightforward process. Or, one side might take legal aggression to the extreme, and get very proactive about trying to legally punish the other side. You might think you want an “attack dog” on your side, right? Sounds good to me. But when you really look at what can happen during legal hearings, you might figure out that aggressive doesn’t always mean effective. Just like you or me and our spouses, lawyers can get involved in petty, unconstructive shouting matches. They can – and if they’re the aggressive kinds, they probably will. In this Huffington Post article, writer Mark Baer boils down the difference between an “aggressive” lawyer and an assertive one – and why it makes a difference. You want a lawyer who can keep his or her cool under pressure, not one that always wants to go for the jugular. In fact, those who have extensive experience with divorce, such as counselors, know that there’s a need for both parties to keep the aggression in check. They know that wrath can certainly be a “deadly sin” when it comes to a family’s well-being. (6) What’s so Bad About Avoidance? Most likely, though, it presents something deeper. When something bad happens to you, you don't really want to deal with it. It's easier to just shrug things off or ignore them. But in a divorce case, this doesn't work. You have to actively handle the nuts and bolts of the process to make it work out. There are lots of decisions to be made and avoidance isn’t really an option. Well, maybe it’s a short-time option, but you’ll soon see the problems that it causes. 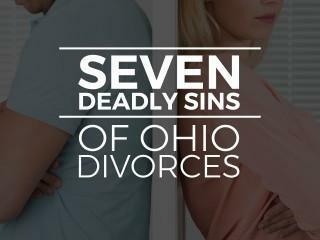 Sadly, the same kinds of behavior that may have led to the divorce can stop couples from really effectively dealing with the outcomes. For example, this page from “Smart Marriages” breaks down the issue of avoidance and the harm that it can do. So in a sense, this classic “sin” is really a big danger sign anywhere in a relationship – before, during, and after a divorce. It can look normal, right up until it isn’t – I mean, we’re all busy, right? But the lack of intimacy and problem-solving that comes with avoidance can be a relationship killer and also a big problem during a divorce proceeding. One of the last “sins” in not handling a divorce well is not taking care of yourself. Look – it’s normal to feel bad. But don’t beat yourself up about everything. Take time to pursue some of your favorite activities. Try to see the bright side of things as much as you can. In fact, this important tip dovetails with the greater goal: which is to take a scary thing, and make it as positive as possible. Most people would love to have a smooth, amicable divorce in which both people continue to grow and evolve, rather than something that looks like a Wild West bar-fight. Keeping things positive can help on the road to resolution, but it’s also a key to self-protection. Try to spot any warning signs of depression. When you understand the danger, you can take steps to avoid it. If you’re facing divorce, remember: you’re not the first person who has had to overcome this. Also, you have the power within yourself to make this process less painful and get better outcomes. By understanding how to avoid these deadly sins, you’re already on a better road toward your future. Are you ready to take that first step?